The shallow water of Rome's Trevi Fountain shimmers with sunken treasure. Thousands of coins glisten in the afternoon sunlight. Each began as a wish in the heart of a hopeful visitor. Some wished for love. Others for happiness. Most wished for a little of both. Popular legend has it that one coin ensures a return to Rome. Two coins can spark a new romance. And if you're lucky, three coins just might lead to everlasting love. 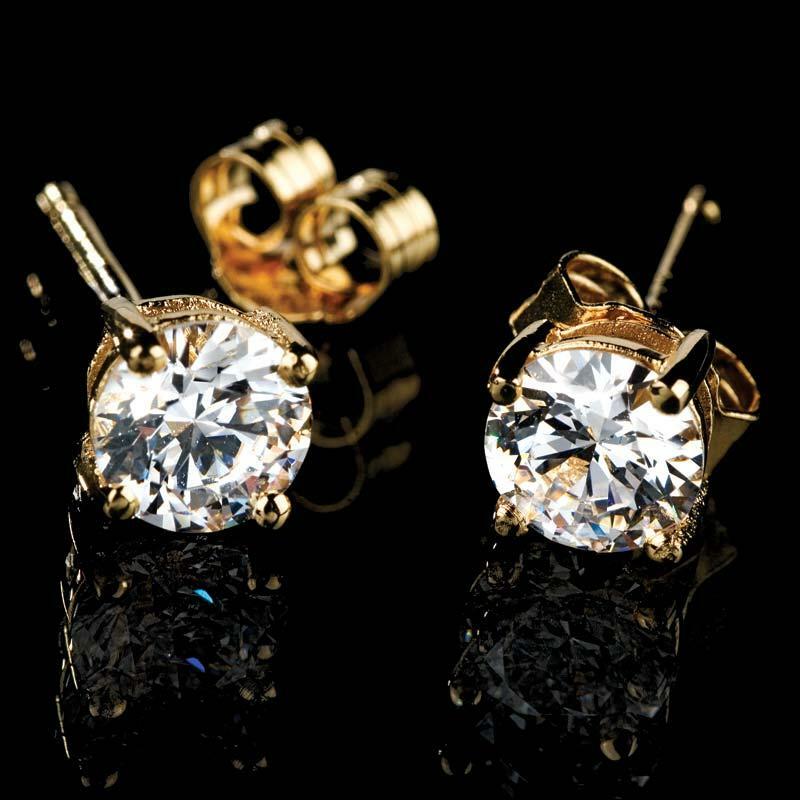 Or you can save your money, make your own luck, and say "I Love You" with the 1-carat total weight Palisade DiamondAura® Stud Earrings. Thanks to the advanced science behind our exclusive DiamondAura, we can offer these classic earrings at our exclusive Stauer price! Both are gold-finished .925 sterling silver. Every DiamondAura retains the classic jeweler's specifications, including color, clarity, cut and carat weight. DiamondAura doesn't emulate the world's most perfect diamonds... it surpasses them. You get more fire and flawless beauty without the outrageous cost of natural diamonds.